As I waited four hours at Sears a few Saturdays ago, for mechanics to change the brakes on my car, I finally had the opportunity to finish reading K.P. 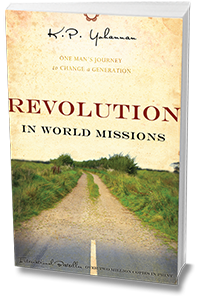 Yohannan’s Revolution in World Missions. Yohannan isn’t really an author, he’s a missionary and founder of a ministry called “Gospel for Asia,” but he does a pretty good job of getting his points across in this book. Yesterday, as I was thinking about this book review I thought that the book’s title should have been Revolution in World Missions: Changing the Way You Think About Missions. “In 1998, personal expenditures in the United States averaged $19,049 per person of which $1,276 (6.7 percent) went for food, leaving a comfortable $17,773 for other expenses. In India, the average person had only $276 to spend, of which $134 (48.4 percent) went for food, leaving a scant $142 for other needs for the entire year” (p. 44). “The United States has about 5,000 Christian book and gift stores, carrying varieties of products beyond my ability to imagine—and many secular stores also carry religious books. All this while 4,845 of the world’s 6,912 languages are still without a single portion of the Bible published in their own language…” “Besides books, 8,000 Christian magazines and newspapers flourish. More than 1,600 Christian radio stations broadcast the Gospel full-time, while many countries don’t even have their first Christian radio station. A tiny 0.1 percent of all Christian radio and television programming is directed toward the unevangelized world” (p. 50). “The United States, with its 600,000 congregations or groups, is blessed with 1.5 million full-time Christian workers, or one full-time religious leader for every 182 people in the nation. What a difference this is from the rest of the world, where more than 2 billion people are still unreached with the Gospel. The unreached or ‘hidden peoples’ have only one missionary working for every 78,000 people,’ and there are still 10,000 people groups in the world without a single church among them to preach the Gospel” (pp. 50-51). Yohannan’s point? That the abundance God has blessed is with should be used to build His kingdom and reach the lost. The second point of Yohannan’s book? To remind the reader that providing for people’s physical needs is not the same as providing for their spiritual needs. “Substituting a bowl of rice for the Holy Spirit and the Word of God will never save a soul and will rarely change the attitude of a man’s heart. We will not even begin to make a dent in the kingdom of darkness until we lift up Christ with all the authority, power, and revelation that is given to us in the Bible,” writes Yohannan. He goes on to provide examples of ministries and teams that have gone out with the intent of reaching the lost through education or humanitarian relief, but end up failing because they get sidetracked by these other things and forget to keep the Gospel of Christ the center and focus their mission. His point: we must remember to keep the main thing, the main thing; providing for other human needs is important, but even more important are their spiritual needs. Yohannan’s final point is that the best way to reach these unreached people groups is by training national missionaries—people already living there—and providing them with the financial support they need to reach as many people in their hometowns, neighboring towns and countries. This makes a lot of sense. First, because it’s less costly to support national missionaries than it is to send missionaries from other countries and provide them with the financial support they find necessary. Second, because people are more likely to listen to those they are most similar to and feel connected with. A wealthy American family, for instance, will have difficulty understanding not only the language, but also the perspective and culture of the poor migrant farmer of India. Lastly, because those of other nations have difficulty trusting those from the U.S. due to various historical events (i.e. imperialism, colonialism, proselytizing) and because of what they’ve seen of our culture (based on television programs and news). Yohannan’s point is not that U.S. missionaries give up on serving in foreign countries, but that they leave behind a group of nationals that can be self-sufficient and will continue to develop and grow the church. When I read this, I couldn’t help but think of Paul, since this is what he did. He shared the Gospel with the lost, mentored them, sent them letters, and encouraged them, but he never stayed in one location for too long (until he was imprisoned). He allowed the churches that were established in each city to grow and develop under local leadership. As I finished up this book, I thought of the two churches my local church has been supportive in establishing in Ghana and El Salvador, and recognized the significance of local, national, leadership in their formation. I definitely recommend that you read this book with a spirit of humility. It may seem that the author is simply criticizing the U.S. church; however, I don’t believe that he writes these things to insult us, but to correct our course and to make our mission—to share the gospel to the ends of the earth—more effective. If you’re interested in missions–and I believe we all should be, to some extent–I recommend you read this book. Take care and God bless! P.S. You can request a free copy of this book here. Before we begin, I’d like to start off by apologizing for not keeping up with our discussion on Multiply: Disciples Making Disciples by Francis Chan & Mark Beuving. The last few weeks have been extremely busy and draining for me, and it’s kept me from writing much of anything–besides what I’ve been writing in my personal notebook on my study of Romans. With that being said, Week 4 of our discussion brought up some questions regarding my ministry and where my gifts and time would best be applied. I’ve made a few decisions in my life, some of which I’ve already revealed to my leaders and some of which I will soon be discussing with others. I pray that the same could be said for you; that the words that are being written here are not just for my benefit, but for yours as well; and that we’re all putting them into practice. While Week 4 discussed the importance of being an active member in a local church, this week’s focus is on being actively involved–as a church–in reaching out to our community. Francis Chan states that “an inwardly focused church is an unhealthy church. It is a dying church. Biblically, a church that fails to look at the world around it is no church at all” (p. 66). We are called, as believers, to reach out to our lost and dying world. Jesus, himself, said that His purpose on earth was to “seek and save the lost” and we are called to a similar purpose. “God has placed your church in the midst of a broader community so that He can spread His love, hope, and healing into the lives of the people around you” (Chan & Beuving, 2012, p. 66); and we do this out of the love for others that God has placed upon our hearts. 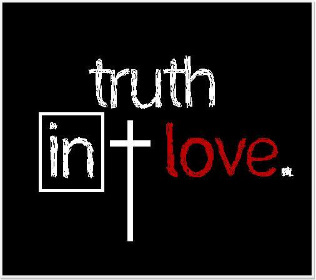 Remember, the world will know that we belong to God based on our love (for God and for people) (John 13:34-35). Love must be our compelling force. This means that have to step out of our comfort zone. We can’t keep our Christianity behind closed doors. We can’t keep the gift of Grace to ourselves! “If your church is not actively blessing the surrounding community, then you are ignoring God’s mission” and “if your church does not pursue God’s mission, then your community misses out on being exposed to the hope that God offers them in the gospel” (Chan & Beuving, 2012, pp. 74-75). Francis Chan’s concludes with this statement:”There’s a reason God has you in this church at this point in history. You can help your church become an attractive community that exhibits Christ’s love, unity, and hope” (p. 75). I listened to a message a few weeks ago by Beth Moore, as she talked about “God’s Purpose for Your Life in Your Generation,” and it’s what came to mind as I read Francis Chan’s conclusion. There are many of us in our churches with gifts and experiences which God has blessed us with and walked us through, which are very specific to the current generation in which we live. We may have all sorts of excuses that we use to prevent us from sharing those gifts or experiences, but God is asking that we use them! I understand that sometimes we feel inadequate, held back by others, frustrated, or even judged; but within us lives the power of the Holy Spirit! The same Spirit that raised Christ from the dead lives in us! He empowers us, strengthens us, and qualifies us for the roles He has for us. I’m sure you’ve heard the statement, “God doesn’t call the qualified, He qualifies the called.” It’s so true! God has been preparing you and I for a particular purpose, over time God will reveal that purpose to us and when He does, it’s our job to be obedient and take action regarding that purpose. We need to find the roles to which we are called within our church and community and step into them in obedience, faith, and, most importantly, love. 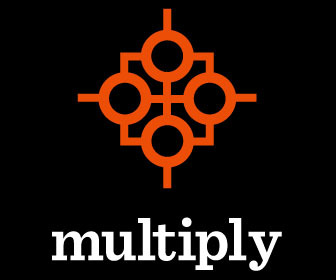 Thanks for returning while we read/work through Francis Chan & Mark Beuving’s Multiply: Disciples Making Disciples. This week, Francis Chan discusses our need to belong to a body of believers (a church), the purpose of the church, and where we fit in, as believers. He begins by stating that “While every individual needs to obey Jesus’s call to follow, we cannot follow Jesus as individuals. The proper context for every disciple maker is the church.” In other words, we cannot make disciples without being part of a larger church community, because we cannot follow all of Jesus’s commands if we’re not in relationship with other believers. It is incredibly important for every Christian to find and commit themselves to a local body of believers. As Francis Chan states, “The church is a group of redeemed people that live and serve together in such a way that their lives and communities are transformed…If you are not connected with other Christians, serving and being served, challenging and being challenged, then you are not living as He desires, and the church is not functioning as He intended” (p. 53). This can also be applied to finding a church. If you’re attending a church where God’s word is not being taught and applied in a way that challenges you or in which serving others isn’t a priority, maybe you should rethink where you’re attending. You don’t want to remain in spiritual immaturity forever and you want to be able to serve as God has called you to. And, as Francis Chan states, “A pastor’s job is not to do all of the ministry in a church, but to ‘equip the saints for the work of ministry, for building up the body of Christ’ (Ephesians 4:12)” (p. 55). As believers we are called to “encourage, challenge, and help” other Christians in our lives, and they should do the same for us; and as we minister to others we are sanctified by Christ. Now, here is the challenging part…We need to be ministering wholeheartedly and walking in love; the love that comes from the power of the Holy Spirit. 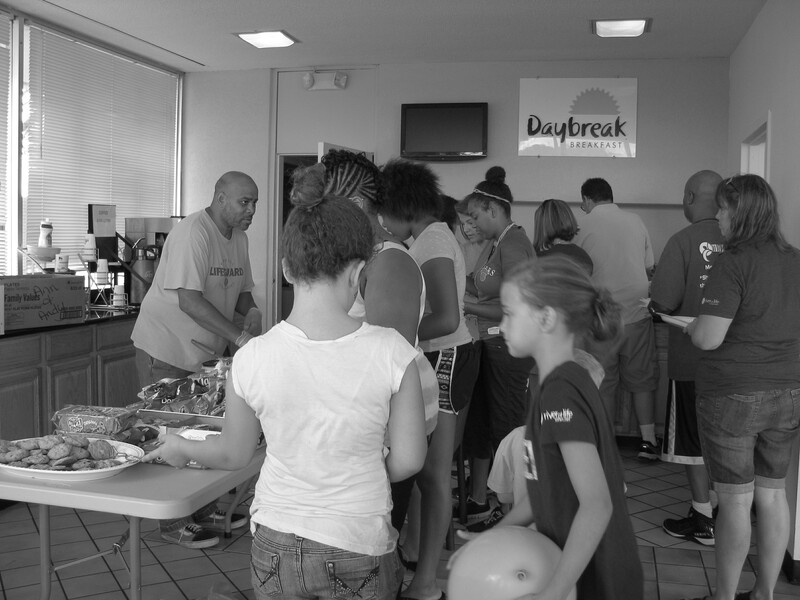 It’s easy to throw some money towards a particular church activity or service, but to set aside time to get to know the individuals involved (those serving or being served), to be involved with them on a daily basis, to really care for their spiritual, physical, and emotional well-being–that’s the challenge. God places each of us in our particular situation so that we can minister specifically to the people around us. Until every person in our church is using the particular spiritual gift(s) that the Holy Spirit has empowered each of us with, the church won’t be functioning at its full potential. I’m still sitting here trying to fully comprehend all that this chapter discusses. I have a certain set of spiritual gifts, but where they can be applied in my church, is something of a challenge to me. Strangely enough, I’ve been praying about this since just before the new year…Where can my gifts be best used/applied? Where should I focus my time and energy? How do I best love/serve others? I’m sure you’re now asking yourself some of the same questions. This is good! This study should challenge and encourage us to make change, so that we can become disciples who make disciples. I love the term “righteous indignation.” What does it mean? To be angry over some moral injustice. It’s often used to describe Jesus when he went to the temple in Jerusalem and overturned the tables of the men selling sacrificial animals for way more than what they were worth–they were basically robbing those coming to worship God. (Matthew 21:12; Mark 11:15). It’s also something that I often find welling up within me–due to the Holy Spirit living within me (as with every believer)–when I hear certain comments or see people behaving a certain way. Sometimes it takes a lot of self-control to keep from shouting what’s on my mind. Today, it just so happened to be a comment about something someone said. A preacher stated something about how if a certain person doesn’t get elected it will only be because of their stance on this and this (yes, I’m being very generic, lol) and he quoted two scripture verses. He never said anything about the person’s character, never said anything judgmental or rude; he only spoke truth. So, of course here comes the reply…an individual complaining about Christians being judgmental and how Jesus taught us that we should just love one another. So, here is my thought…Say you have a best friend. You go out to dinner, you have an appetizer, a main course, and a dessert. And, let’s say before you left the restaurant and headed to the movie theater he/she asked you how they looked, and you told them they looked great. You get to the theater and your friend has to use the restroom. Imagine your friend’s surprise–and anger–when they look in the bathroom mirror to see spinach in their teeth from the appetizer, BBQ sauce from their ribs on their chin, and chocolate frosting on their cheek?! When they come back they ask you why you lied to them. Why did you tell them they looked great, when they looked a hot mess? And you tell them…you didn’t want to be judgmental and you wanted to love them just as they were?? How is lying to someone showing them that you love them? If you really loved them, you would have told them to go to the bathroom at the restaurant and wash up before they walked around, ignorant of the mess on their face. Therefore, I’m sorry if you feel that Christians are judgmental, even though, we’re only speaking truth. We don’t pass judgment, we just tell you what God’s word says on the matter. It’s your job to decide whether or not to do something about it, once you find out the truth. We’ve all messed up, myself included, and Christians don’t pretend to be perfect or have it all together. However, don’t expect us to lie to you in order to make you feel better about a decision or lifestyle you’ve chosen for yourself. Just as Jesus corrected people when they weren’t living as they should (please read all of Matthew, Mark, Luke, and John), we speak truth because we love you and don’t want to see you walking around in ignorance.